Geekvape bring a new compact and stylish starter kit, consisting of the 80w Lucid TC Mod and the Lumi Subohm Tank. Featuring the advanced AS chipset, the Geekvape Lucid fires really fast and accurate. It can power up to 80W with single 18650 battery and support temperature control for Stainless Steel, Nickel 200 and Titanium. 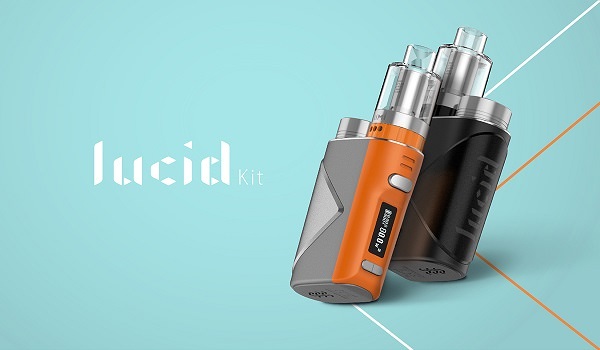 Equipped with a concise and clear OLED screen for vape data display, a micro USB port for safe charging and also firmware upgrading, the Lucid can always offer you convenient vaping. As for the matching Lumi Tank, it's 24mm in diameter and available in optional 2ml/4ml edition. It is built with FDA certified medical grade polycarbonate, which can withstand extremely high temperature. Utilizing the 0.3ohm Mesh X1 coil head, the Lumi will produce the best flavor and dense vapor clouds. If you are a fan of super compact single 18650 battery setup, Geekvape Lumi Lucid Starter Kit is your thing. Good News! Our Early Christmas Sale is up, double surprises for you!! 1. Enjoy $4 off $35 with code "SAVE4", $10 off $60 with code "SAVE10" sitewide.